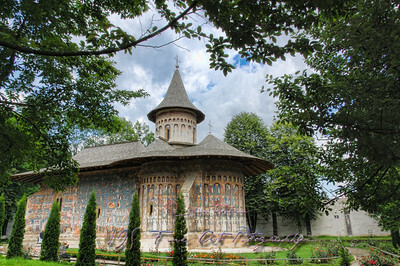 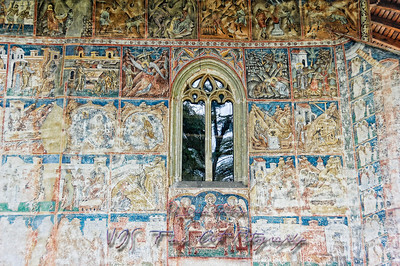 Voroneţ Monastery, located in the town of Gura Humorului, is one of the most famous painted monasteries in Romania.Stephen the Great built it in 1488 to commemorate the victory at Battle of Vaslui. 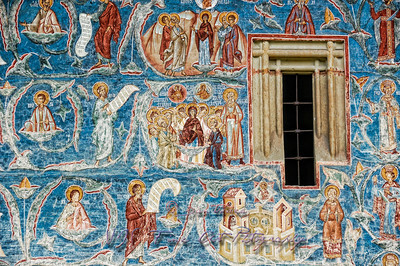 Often known as the "Sistine Chapel of the East", the frescoes at Voroneţ feature an intense shade of blue known in Romania as "Voroneţ blue". 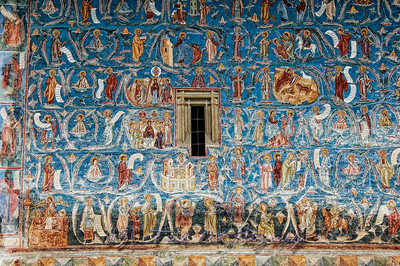 The exterior walls — including a representation of the Last Judgment on the west wall — were painted in 1547 with a background of vivid cerulean blue. 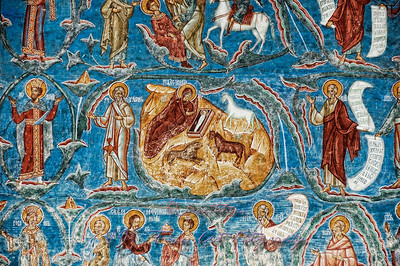 This blue is so vibrant that art historians refer to Voroneţ blue the same way they do Titian red. 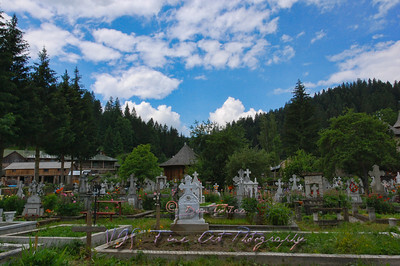 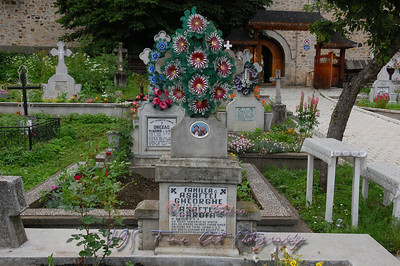 Cemetery at entrance of Voronet Monastery. 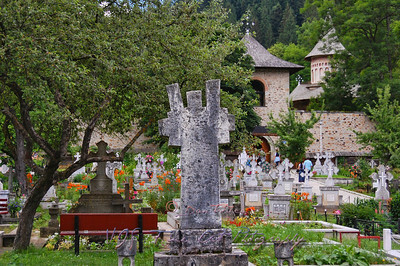 Detail of Voronet Monastery Church. 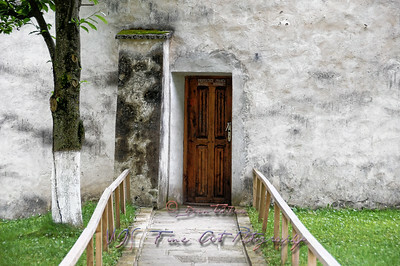 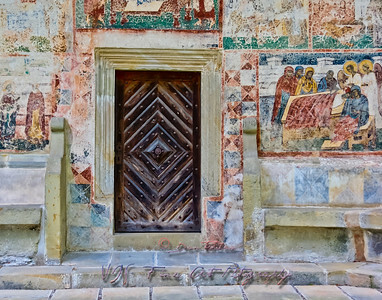 Door of Voronet Monastery Church. 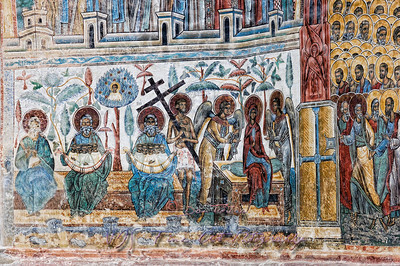 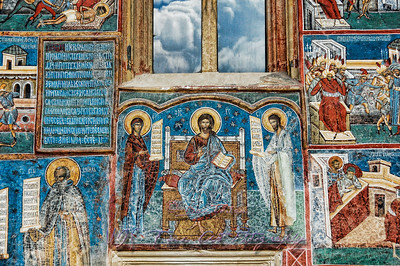 Fresco painting detail, Voronet Monastery Church. 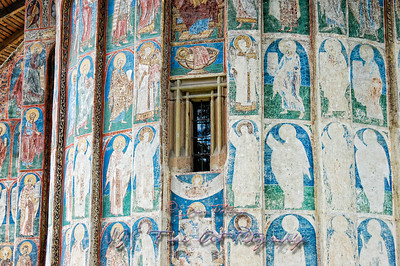 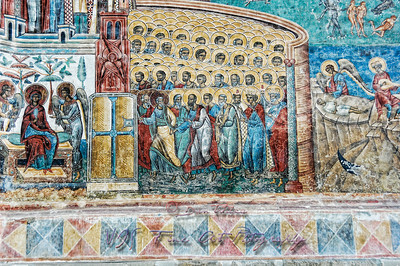 Fresco painting wall, Voronet Monastery Church. 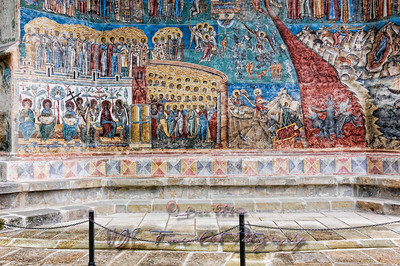 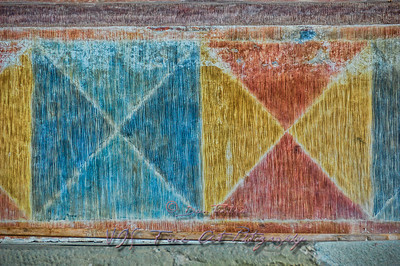 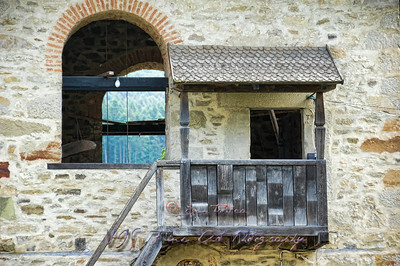 Fresco painting detail and roof, Voronet Monastery Church. 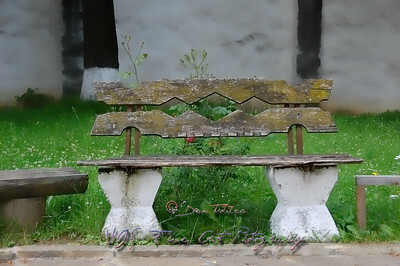 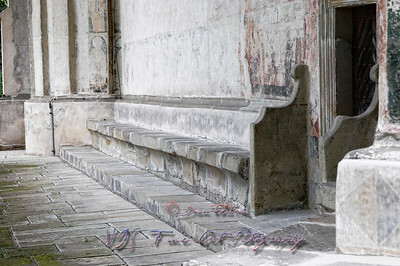 Bench behind church, Voronet Monastery. 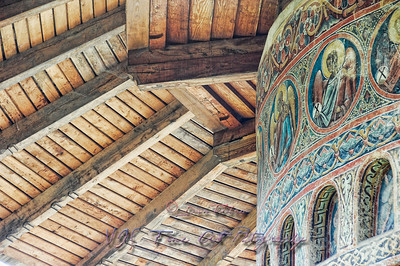 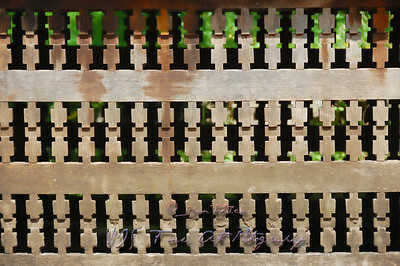 Wood work detail, Voronet Monastery. 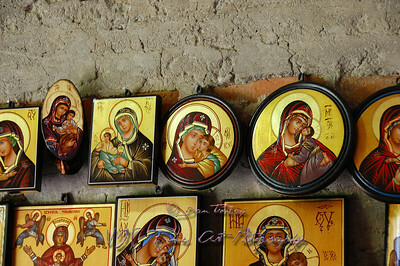 Icons on sale, Voronet Monastery.